Grilled chicken is one of the most popular dishes at summer barbeques. And spring cookouts. And fall tailgating parties. And family dinners. You get the idea. People love grilled chicken. And no wonder: when done right, grilled chicken is super flavorful and goes with a huge array of side dishes. 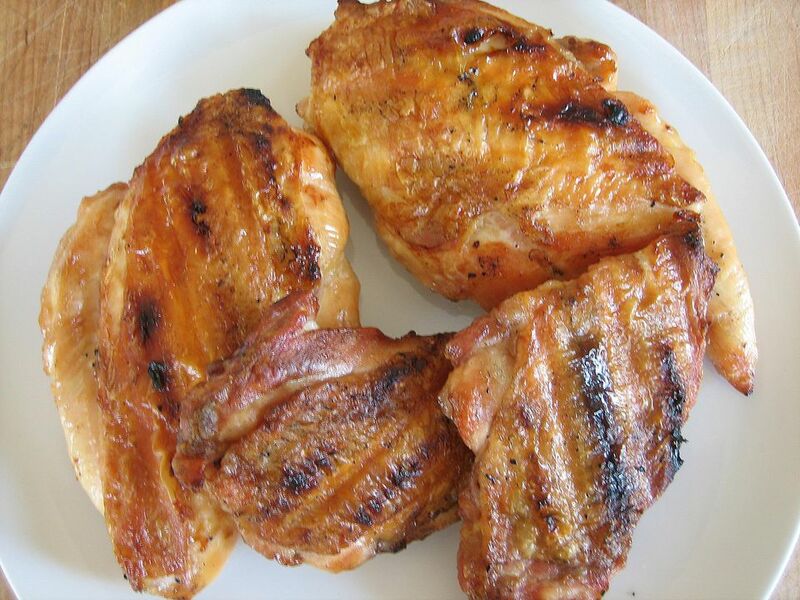 Sadly, grilled chicken is also one of the most frequently destroyed dishes out there, be that by overcooking, undercooking (and then cutting into and re-cooking), or being cooked over the wrong temperature and allowed to slowly but surely dry out. Worry not! There is a better way. A much better way. If you start with a high-quality chicken (if you can find it, birds raised on pasture will offer the best flavor) and follow this simple method of using bone-in chicken, pre-salting the bird, and using indirect heat for the bulk of the cooking time, you will be amazed at the results: juicy, flavorful, tender chicken that tastes like chicken should. For tackling a whole chicken on the grill, you can use the method outlined below, just ask your butcher to spatchcock the chicken for you, or do it yourself by cutting out the backbone and opening the chicken so it lays more or less flat so it can cook evenly on the grill. Sprinkle the chicken pieces with the salt, taking care to work some under the skin. Cover and chill at least two hours and up to overnight. Let the chicken come to room temperature for about 30 minutes before grilling. Brush the cooking grate with vegetable oil. Set the chicken skin-side down on the indirect heat section of the grill. Close the lid on a gas grill and cook for 15 minutes. Turn the chicken over, close the lid on the gas grill, and cook 10 minutes. Test the chicken for doneness by cutting into ​its center. It should be slightly pink (it will finish cooking while it rests). If the center is very pink, return the chicken to the indirect heat section and cook another five minutes. Let the chicken rest at least 10 minutes, covered with foil, before serving.